Meet Molly and Wally, two charming children who go around the country singing cheerful songs that incite people to violence against mutants. 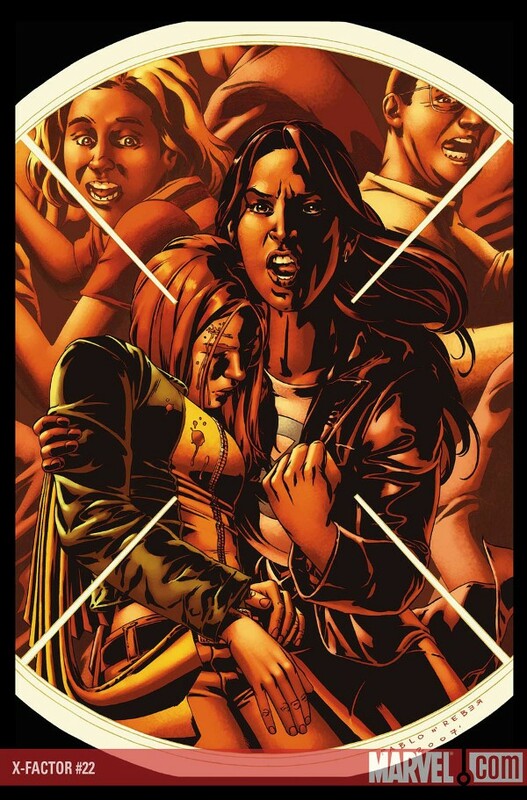 Siryn and Monet have been dispatched to deal with them...except the twins have a rather unexpected protector. Meanwhile the Isolationist continues his manipulations to establish a world where mutants need never live in fear again. Question is, by the time he's done...will they be living at all? FEATURING ENDANGERED SPECIES CHAPTER 7 - Beast’s scientific journey to cure the effects of M-Day, lead him back to… THE AGE OF APOCALYPSE!